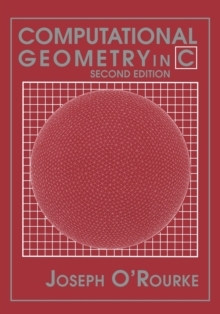 This is the revised and expanded 1998 edition of a popular introduction to the design and implementation of geometry algorithms arising in areas such as computer graphics, robotics, and engineering design. The basic techniques used in computational geometry are all covered: polygon triangulations, convex hulls, Voronoi diagrams, arrangements, geometric searching, and motion planning. The self-contained treatment presumes only an elementary knowledge of mathematics, but reaches topics on the frontier of current research, making it a useful reference for practitioners at all levels. The second edition contains material on several new topics, such as randomized algorithms for polygon triangulation, planar point location, 3D convex hull construction, intersection algorithms for ray-segment and ray-triangle, and point-in-polyhedron. The code in this edition is significantly improved from the first edition (more efficient and more robust), and four new routines are included. Java versions for this new edition are also available. All code is accessible from the book's Web site (http://cs.smith.edu/~orourke/) or by anonymous ftp.